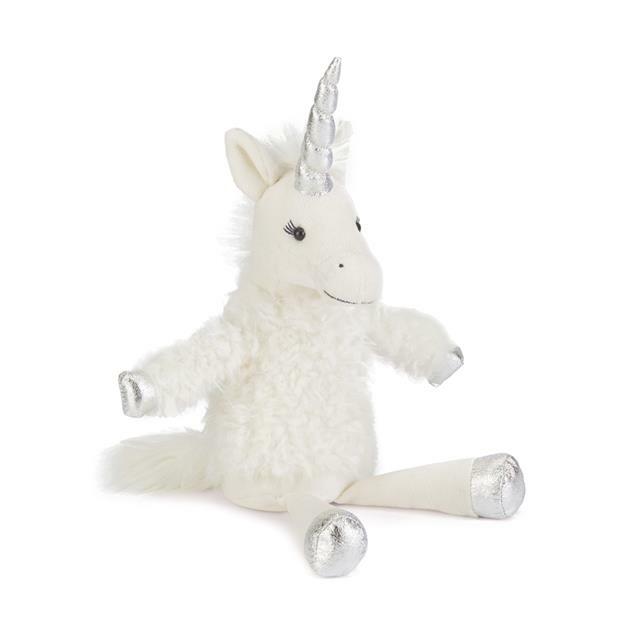 Tinsel Unicorn is all wrapped up, ready for winter in the enchanted forest! Cantering along on silver hooves, with her shining horn to light the way, she shakes her soft mane and waggles her ears. Her pretty eyes and friendly smile have lovely stitch detail for classic charm. A magical gift for any story-lover.